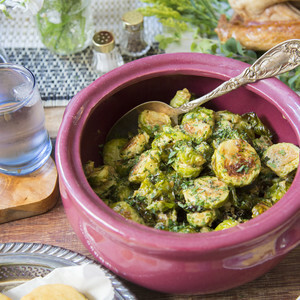 Roasting brussels sprouts brings out their flavor and sweetness. Roasting brussels sprouts brings out their flavor and sweetness. Tossing them in a light cream sauce, spiced with mustard, makes them heavenly. This rich side dish is sure to convert anyone who’s not already fanatical about this wintertime veggie.